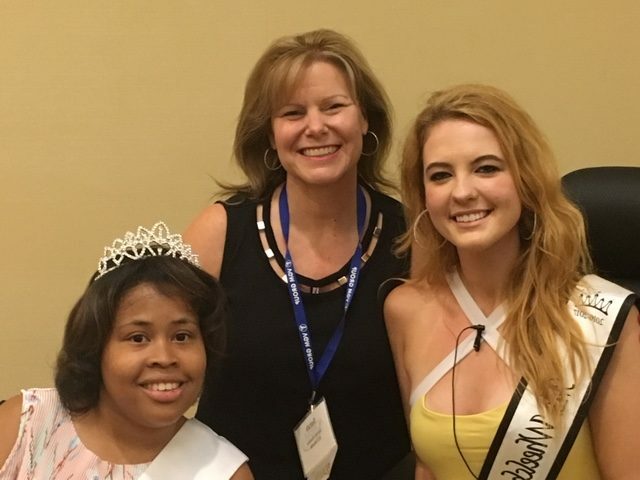 While speaking at the annual conference of the Atlantic Coast Medical Equipment Services Association (ACMESA), Sarah Hanna (center) had the honor of meeting two very special ladies. Madeline Delp (left), Ms. Wheelchair NC USA 2017 and Ms. Wheelchair America Runner-Up 2016 and Deja Barber (right), Ms. Wheelchair NC America 2017. These inspirational young women spoke to the group about their advocacy programs and their duties as winners of their titles.